In this brief education article published in PLOS Computational Biology, Barone et al. 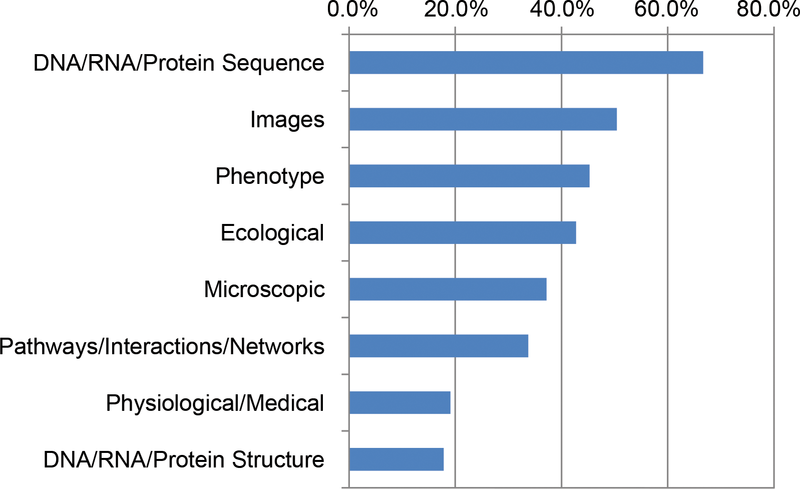 present the results of a survey of funded National Science Foundation (NSF) Biological Sciences Directorate principal investigators and how/if their computational needs were being met. Citing several other past surveys and reports, the authors describe the state of cyberinfrastructure needs as they understood them before their survey. Then they present their results. "Training on integration of multiple data types (89%), on data management and metadata (78%), and on scaling analysis to cloud/HPC (71%) were the three greatest unmet needs," they conclude, also noting that while hardware isn't a bottleneck, a "growing gap between the accumulation of big data and researchers’ knowledge about how to use it effectively" is concerning. 05/04/2018 - Does an HIE need to enter into a BAA with it's healthcare provider clients? 05/02/2018 - Seizure of personal records - a HIPAA violation? 05/02/2018 - Has anyone in the group developed apps for Illumina Base Space platform? 05/01/2018 - How much clinical evidence do you need to launch? 05/01/2018 - Why #CISO is the hardest tech role to fill? 05/09/2018 - Agilent Completes Acquisition of Lasergen, Inc.